In 2014 an attempt to resurrect the classic Air Jordan 2 silhouette was made by releasing a brand new colorway on the model. Sporting a black leather upper, grey cement print on the ankle and toe compliment the look as infrared accents bring life to the sneaker's appearance. 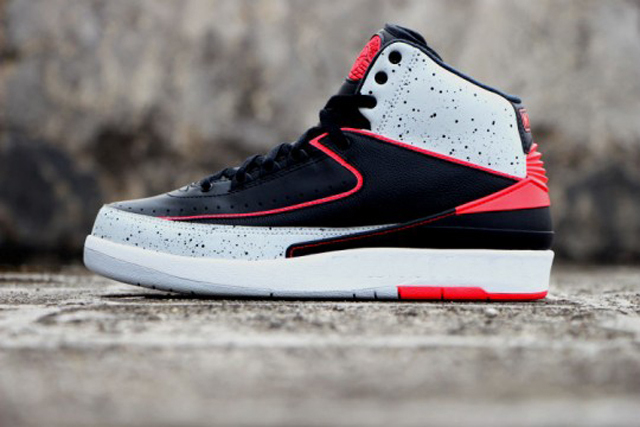 Paving the way for more and more colorways of the underrated silhouette, we should see more Air Jordan 2s pop up in the near future.